Boeing PAV is a fully autonomous electric vertical take-off and landing (eVTOL) aircraft. Credit: Boeing. Boeing NeXt conducted the first test flight of Boeing PAV in January 2019. Credit: Boeing. The eVTOL aircraft will be available in two and four seat variants. Credit: Boeing. 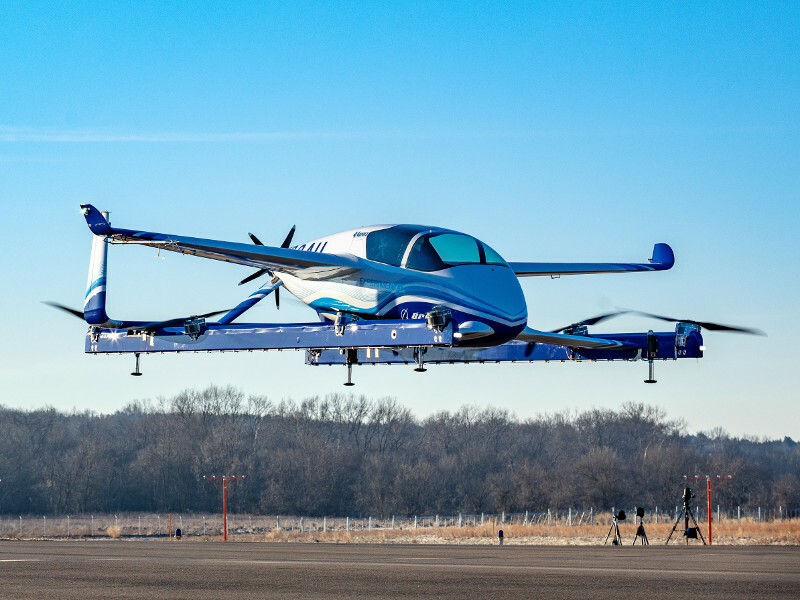 Boeing Passenger Air Vehicle (PAV) is a new-generation electric vertical take-off and landing (eVTOL) passenger aircraft or air-taxi designed and developed by Boeing for safe on-demand air transportation. The autonomous aircraft will meet the potential environmental and transport challenges and offer safe, clean, and quite urban travel experience. Designed to operate on vertiports (vertical airports), the aircraft allows for quick boarding and disembarking of passengers. 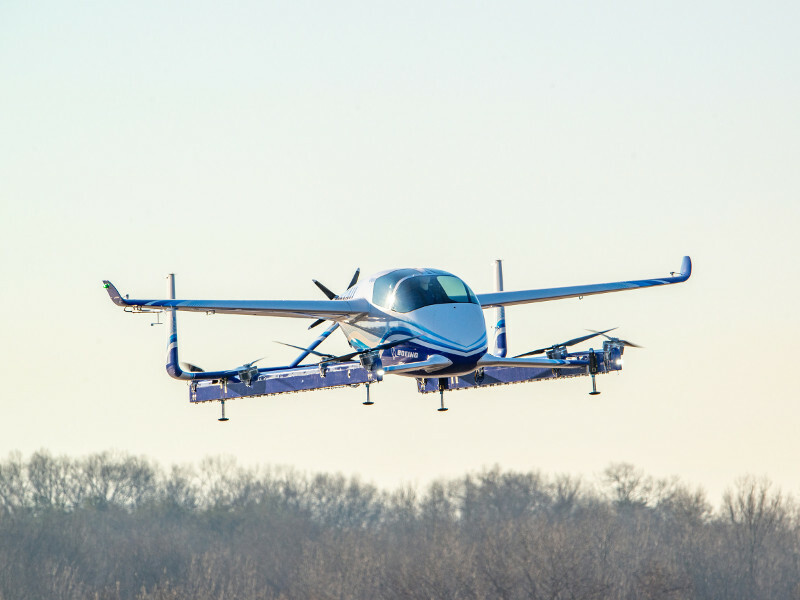 Boeing successfully completed the first test flight of the PAV eVTOL in January 2019. 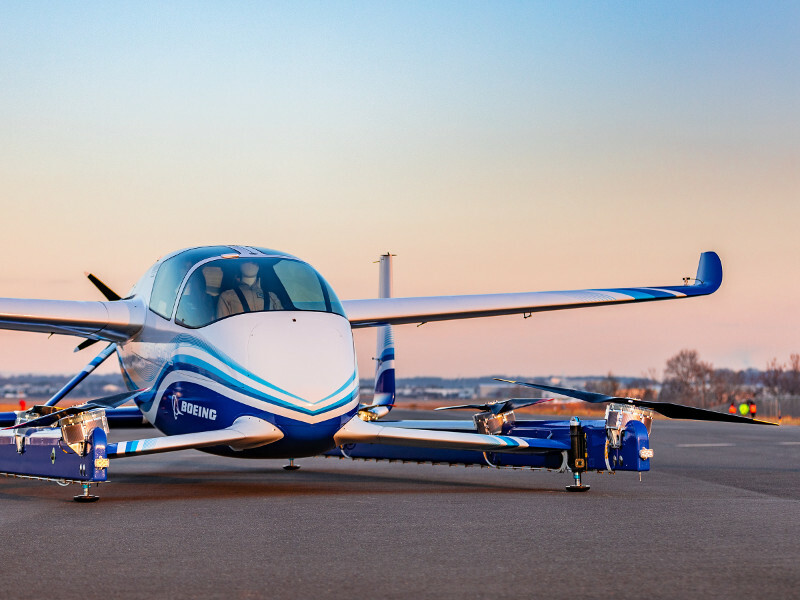 Boeing NeXt built the eVTOL aircraft in coordination with Boeing subsidiary Aurora Flight Sciences. The company is currently building and testing VTOL aircraft, small-commercial and fully autonomous systems, as well as hypersonic passenger aircraft for future urban transport. The PAV project was conceptualised by Boeing NeXt in 2018. A flying prototype was tested in January 2019. The aircraft performed controlled take-off, hover, and landing during the first flight test. Its autonomous functionality and ground control systems were also evaluated during the test. PAV’s flight characteristics include forward flight, wind-borne flight, and vertical-to-forward transaction flight will be tested during the next stages of the testing programme. 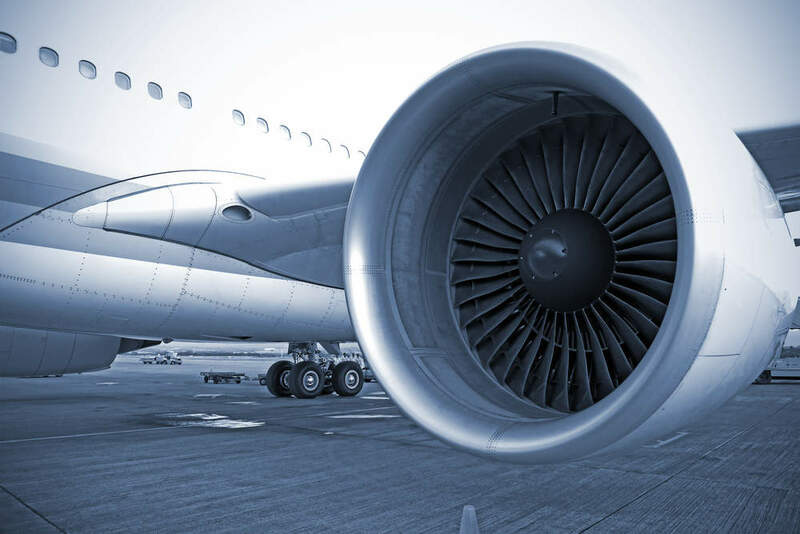 Designed as a small aero-cab structure, the fuselage of the passenger air vehicle is supported by four struts, which are connected to two horizontal bars forming the base. The horizontal bars form part of the landing gear, which runs along the length of the aircraft. "Boeing PAV is a fully autonomous eVTOL with the capability to take-off and land, carry out level flight, and navigate difficult routes without a pilot on-board." The overall length of the eVTOL aircraft is 30ft (9.14m) and its width is 28ft (8.53m). The aircraft is being developed in two and four passenger variants with a modular cargo option. It features a gull-winged door with hinges at the top. The empennage/tail assembly of the eVTOL aircraft is a modified version of a twin tail boom. Based on horizontal support bars, it extends across the width of the aircraft. Two moveable fins placed on the horizontal tailplane act as elevators. Either end of the tailplane is bent to form a vertical stabilizer with a rudder on its trailing edge. Boeing PAV is a fully autonomous eVTOL with the capability to take-off and land, carry out level flight, and navigate difficult routes without a pilot on-board. Its autonomy extends to route plans, contingency response, detection and avoiding unexpected obstacles. Boeing PAV uses electric motors to power the on-board propellers. A total of eight small motor-powered propellers are fitted to provide vertical lift and descent to the aircraft. The VTOL aircraft also features a pusher propeller at the rear of the fuselage. It provides positive thrust during level flight, while propellers on the horizontal bars collectively generate positive thrust during different phases of flight. Boeing used MAGicALL motors for the small propellers during the first test flight. Electric propulsion will ensure economical and environmentally safe, noise-free flight. It will enable the aircraft to attain a maximum range of 80.4km. Landing gear of the Boeing passenger air vehicle comprises two long horizontal level bars on which the whole aircraft body is mounted through struts. The landing gear bars are fitted with four shock absorbers, which extend downwards. Shock dampeners will ensure safe landing at vertiports.